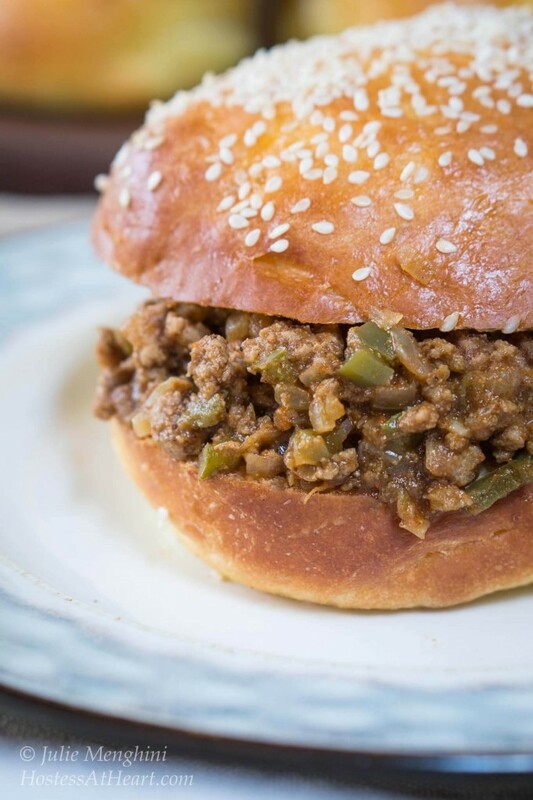 This Turkey Sloppy Joes recipe tastes better than the canned sloppy joes, is just as quick to put together, and no one will know that it’s healthier too. Did you ever make sloppy joes with the sauce that came out of a can? I loved those things growing up, and never got tired of them. I thought that I could come up with something just as good. Homemade is always best, right? It really took me a while to come up with what I thought was a good Turkey Sloppy Joes recipe. When I finally had a winner, I forgot to take pictures before digging in. These are really good, and I make them all the time. One thing I’ve learned about ground turkey is that it doesn’t have a whole lot of taste. Sometimes the ingredients used to make ground turkey taste good add more fat and calories than you would think. Unless you use the ground turkey from all white meat, lean ground beef can have less fat and calories. 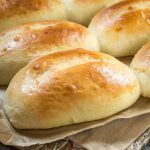 To make this sandwich extra amazing, how about whipping up some buttery Brioche Buns to put them on? 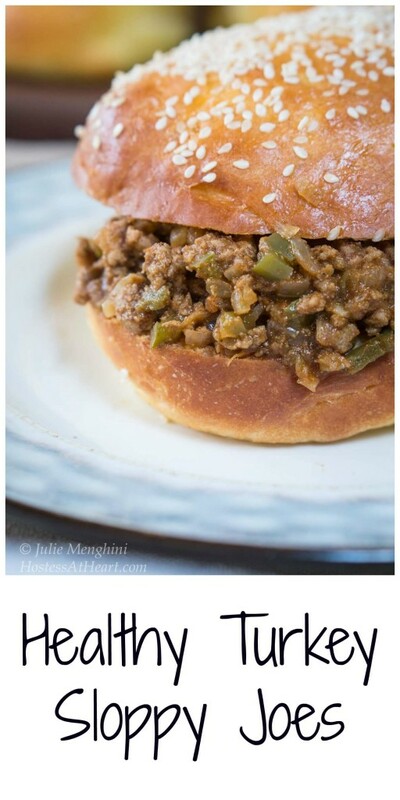 This Turkey Sloppy Joes recipe tastes better than the canned sloppy joes, is just as quick to put together, and no one will know that it's healthier too. Heat oil in a skillet. When hot, cook onions and green pepper over medium heat until softened. Add garlic, jalapeno and ground turkey. Continue cooking until turkey is no longer pink. Add cumin, and chili powder and cook until fragrant. Add tomato sauce, Worcestershire sauce, brown sugar. Add salt and pepper to taste. Cover and simmer until heated through. Nutritional information is for the filling only. Eating well doesn’t mean that it doesn’t taste good, include weird ingredients, or take a lot of time. I love banging around my kitchen but face it sometimes you just don’t have the time or inclination. 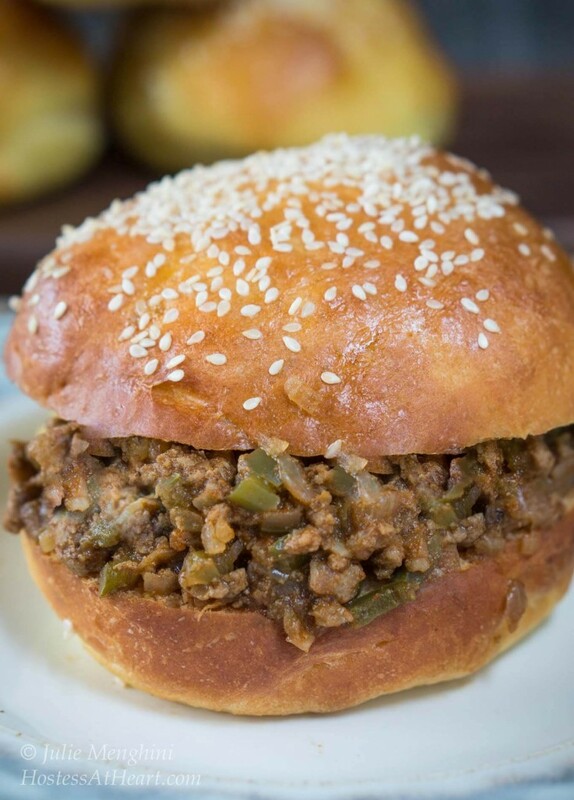 Recipes like this Turkey Sloppy Joes guarantees that your children that already love beef sloppy joes are probably not going to know the difference and you will not miss the loss of fat and calories. Do you have a dish switch that you make that your family loves? I’d love it if you will share it with me? 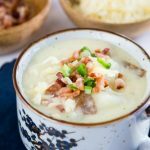 I love getting inspiration for my recipes from you! 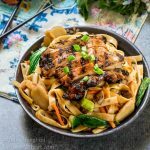 Here are a few more recipes that are delicious but are easy to make and a little better for you. Drool! I van imagine how good these must taste with all the flavor you’ve packed into them! YUM!! I had completely forgotten about sloppy Joe’s, my family used to love them and they were a regular on the menu. I use ground turkey as a substitute in many things. The jalapeño would add a wonderful punch but I would leave off the green peppers…maybe red ones would be ok. Thank you Liz! We had a big gap in sloppy joe years after the kids were no longer here, but I make them quite a bit these days. I’m sure whatever spin you put on them will be delicious! Thank you Lily! I was just thinking of you and will send you an email. Hope you are having an amazing weekend! What a delicious looking sandwich Julie! I never really knew what sloppy joes were, so I’m not balking at the sound of ground turkey. It sounds very appropriate to me actually! 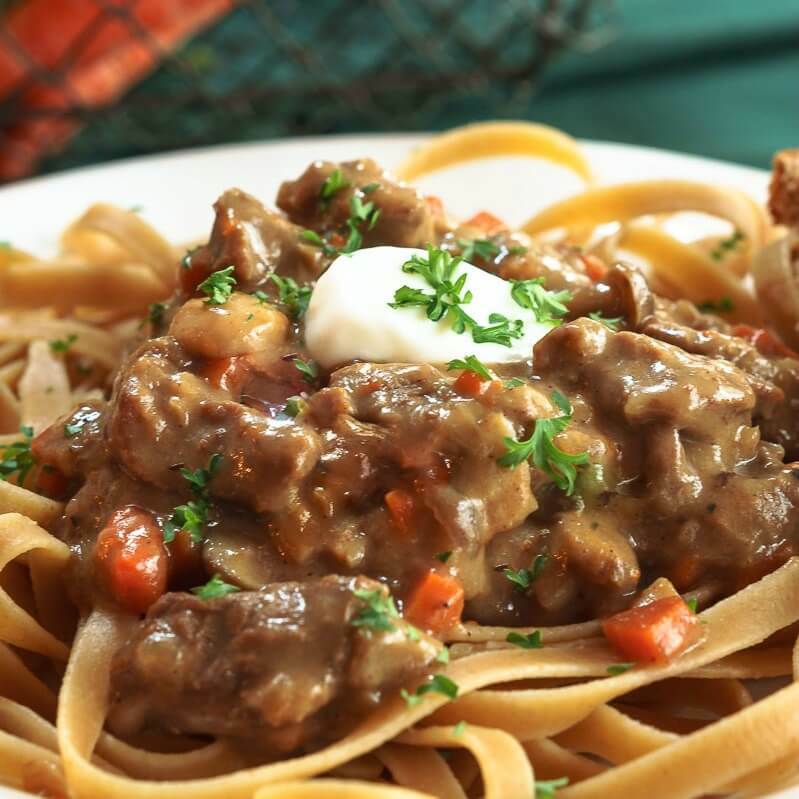 I usually think of ground turkey as being a bit dry, so the “sloppiness”, all that moist gravy-like sauce sounds like the perfect way to bring flavour and moisture to the turkey. Thank you Laurie! I agree that turkey can be dry and tasteless so it’s not used well. Perhaps it’s because my family stopped eating beef and pork SO long ago that I’m always surprised when people balk at the suggestion of using ground turkey in things like burgers, sloppy Joes, or meatballs. At any rate, it looks like you’ve done a great job with these – I love that you added jalapenos and green peppers! This looks like a great recipe for days when you’re in a bit of a time crunch. Thank you! 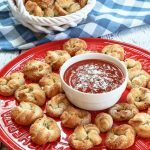 They are quick and easy to make and a great alternative to beef and pork. Enjoy your weekend! I have always wanted to make sloppy joes , but I don’t eat meat! I like your recipe. I do eat turkey. Saving the recipe. Happy FF! Thank you so much! I hope if you make it you’ll let me know how it comes out. I hope you have a great FF too! Thank you Jess! I would love anything coming out of your kitchen! LOL! They are yummy! I love these sammies! I cannot get David to think about ground turkey. He practically quivers at the sound of it. I have never tried because of him. 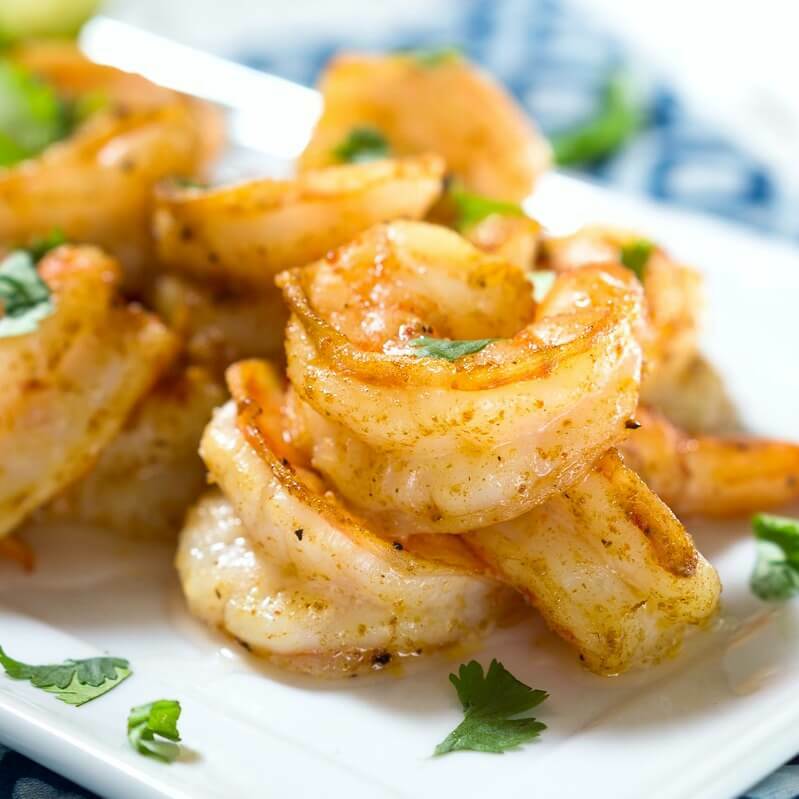 Perhaps he didn’t have enough flavor… I may have to try this recipe just because they look so good! Thank you Debbie! John was a mamby pamby too. This one changed his mind Debbie. It is so close in texture and flavor that it doesn’t feel like turkey.